The Irish/American actress Saoirse Ronan is a shoo-in for her 4th Academy Award nomination for her electrifying performance as the title character Mary, Queen of Scots. To be fair however, Margot Robbie playing her very fierce cousin Queen Elizabeth 1 of England is also certain to get attention when it comes to acting awards too. The story between these two powerful Queens in the 16th Century has been filmed several times over the years, each time with a slightly different take. It helps if you know some of the historical facts, but not that essential as one of the most powerful scenes in this movie is the meeting between the two Queens, which never ever happened in real life. The script by Beau Willimon (House of Cards) is very flattering to Mary portraying her as a tough, but fair minded monarch whose claim to succeed her cousin to the throne of England was based on what was her right. Whereas Elizabeth comes across as a wily manipulative and rather cold and bitter woman who misses out on so much because of her obsession with distrust. The real tragedy is both these powerful and determined women were ill-served by wily counsellors always pushing their own agendas. and plotting the downfall of anyone and everyone getting in their way. Including Mary’s husband Lord Darnley (Jack Lowden) who although he fathered her child, was quite an indiscreet homosexual. 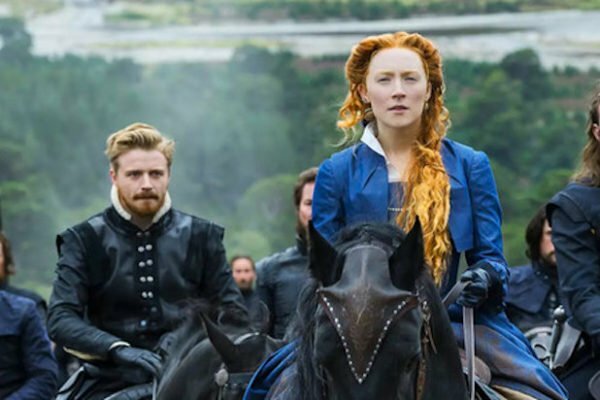 Mary, Queen of Scots is an impressive directing debut from Josie Rourke, the Artistic Director of London’s Donmar Theater and she is well served by James Merrifield her Production Designer, and Max Richter her composer for his soaring soundtrack. Although a tad too long (at 2hr 4 mins), it is nevertheless an entertaining take of this crucial time in history when women ruled the world. Well, part of it anyway.